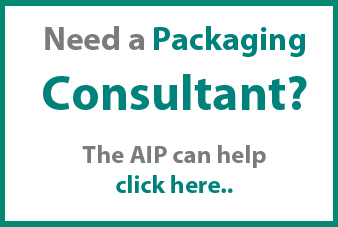 BUILD YOUR PACKAGING CAREER ON FIRM FOUNDATIONS WITH THE AIP. 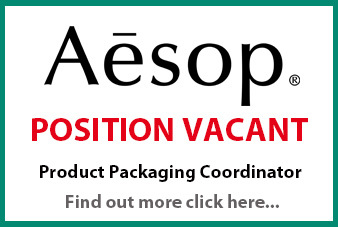 The Australian Institute of Packaging (AIP) is at the forefront of packaging training and education in Australasia; helping to shape the careers of generations of packaging professionals – from packaging technologists to international packaging business leaders along with a host of people in associated disciplines – sales and marketing, purchasing, production and environment. The Certificate in Packaging is an internationally recognised Level 3 qualification designed to meet the training needs of a wide variety of personnel in packaging, from the new entrant looking for a great start, to design, production, management, sales, marketing or purchasing staff looking to deepen their packaging knowledge. The Certificate in Packaging provides a level of insight and understanding of the packaging industry that adds real and measurable value to careers and businesses. Packaging is a fundamental part of modern business, and the Certificate in Packaging provides you with the ‘detailed overview’ of packaging processes that broadens your knowledge, adds value to your business and helps you to prove your worth. The Diploma in Packaging Technology is an internationally recognised Level 5 foundation qualification that prepares students to take responsibility for packaging operations at any level through the supply chain and can also lead to higher level study. 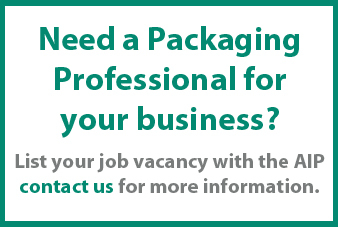 Completion of the Diploma in Packaging Technology demonstrates your commitment to your career and to the industry. Delegates who successfully complete the Diploma are equipping themselves for senior positions within the packaging industry. Networking opportunities abound, providing the chance to draw on the experience and knowledge of others. The Master of Food and Packaging Innovation is a new inter-disciplinary degree that explores food science, entrepreneurship and innovation in product and packaging design at an advanced level. This unique course forms part of a joint University of Melbourne and the Australian Institute of Packaging initiative. You will learn the skills necessary to develop valuable and innovative food products that address key issues such as transportability, durability, tamper proofing and perishability issues, as well as key environmental, economic, social and ethical factors. The Certified Packaging Professional designation is the leading mark of excellence internationally and a must-have recognition of industry proficiency and achievement for packaging professionals under a new partnership announced by the Institute of Packaging Professionals (IoPP) in the U.S. and the Australian Institute of Packaging (AIP). Attaining the CPP designation is an excellent investment in your professional development, and the credential defines the packaging professional and allows organisations to seek out and hire the right professional based on verified knowledge,skills and industry contributions. Using the CPP program to assess and evaluate one’s professional competency validates you as internationally proficient as a packaging professional, a cut above your peers. “We can provide people with educational opportunities today, to meet the demands of the workplaces of tomorrow. Education is for life — it is an investment that cannot be lost, spent or taken away. Distance Learning does however demand self discipline and the ability to apply oneself constantly to one’s studies, so students must understand this and ensure that they are prepared and able, in terms of self discipline, to accept this challenge. The advantages of distant learning or studying on-line is that one can study when and where you like.